Unite has confirmed the dates of its ballot for industrial action at the Homes and Communities Agency. The official Notice of Intention to Ballot was sent to the employer on Monday 11th April and it will run until mid-day on the 2nd May. If the ballot is returned in favour of industrial action, the union would then need to give seven-days' notice of the strike. The HCA membership previously voted 90% to reject the pay offer on a turnout of just under 80%. 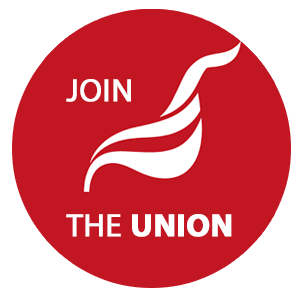 Unite reps are recommending that the members vote in favour of the industrial action to finally end the bulldozing of their contractual rights over pay, and the disregard for trade union negotiation rights that have been a regular feature at the Agency since it merged with a number of smaller organisations in 2012. Members have reported to the union that confidence in staff management and employee relations are at an all-time low on a number of fronts. Reps believe that this discontent has crystalised in the current pay dispute. The HCA's leadership has continued to ignore the escalating dispute and has yet to hold any negotiations over pay, insisting that it will go ahead and impose the pay settlement in May. Mark Hodgkinson started his new role as the new Interim Chief Executive on Monday the 11th and has promised to meet with the trade unions. Inside Housing report the ballot here (pay wall).